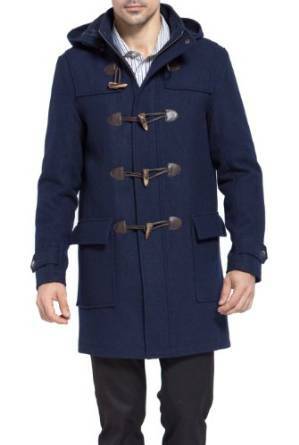 Duffle coat appears for the first time in World War I and was carried by the British navy. 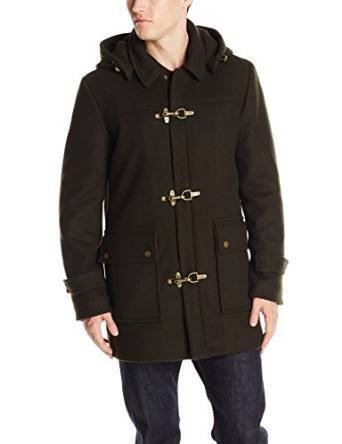 In the Second World War duffle coat underwent some changes and was popularized by Marshal Montgomery who was wearing to be distinguished soldiers. 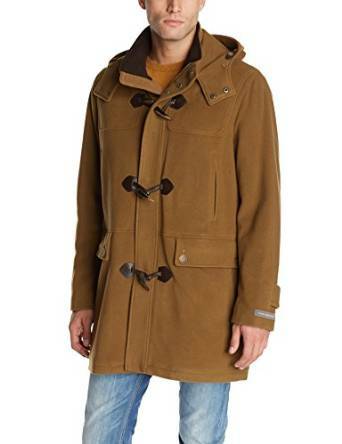 This coat was first made by company named Gloverall. It is perfect if you want to wear something chic and comfortable, and, very important it is very warm. English name comes from the city Duffelzandhoven because of the wool to be used on these clothes came from that city. 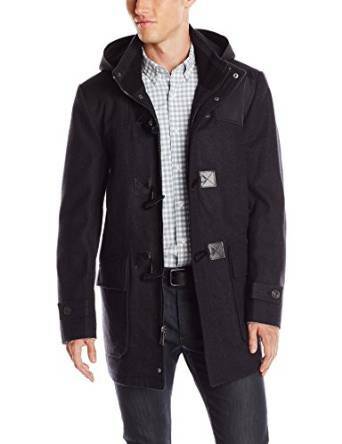 This coat has two large pockets always applied with or without flap. Without flap pockets have the advantage of being easily accessible, but it is more likely that things in these pockets fall. Sometimes we find a large interior pocket in the thigh. The collar is formed by an additional layer of material provides added protection in the upper part of the body. The advantage of this collar is preventing rapid softening of the fabric and garment protection shoulders of premature wear in the rain. And of course will offer you great protection from wind. If you want versatility you must seek a garment that has removable hood. 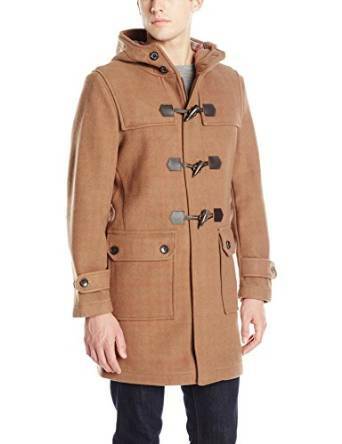 Actually, in general a duffle coat is versatile enough to give you the possibility to wear it in various situation and in combination with different types of clothes. 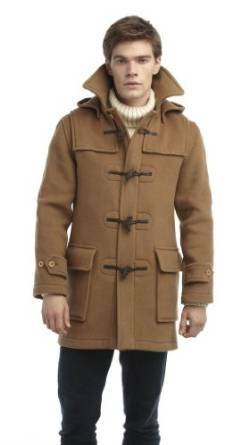 A big plus that it brings this garment is that there is no rule that you restrict how to wear this coat. It goes both casual wear and also you can wear it over a suit. Also worth to remember that it protect you very well from cold and wind, it is without doubt a great solution for cold seasons. 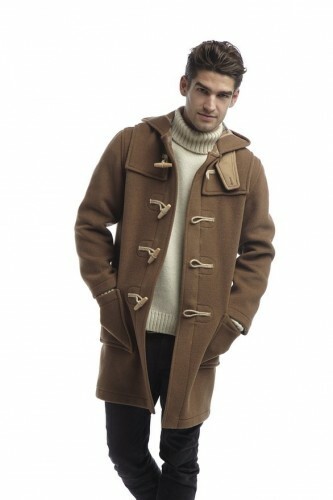 Duffle coat looks very chic and every man who loves to be in trend should have this garment on its wardrobe. 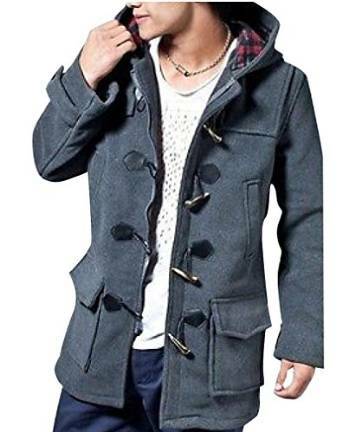 Want to feel comfortable and to be on trend, then a duffle coat is a great choice.